A tragedy which could have been avoided? 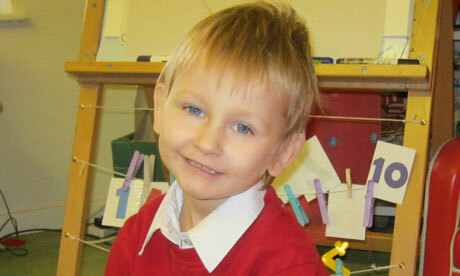 The media has carried multiple reports over the last few days about the tragic death of four year old Daniel Pelka. On Wednesday his mother and her partner were convicted of his murder by starvation and torture. Magdelena Luczak and Mariusz Krezolek have been sentenced today (Fri. 2 Aug 2013) to life imprisonment. The Guardian, The Telegraph, Daily Mail, The Independent, & The BBC. Even when the Coventry Safeguarding Children Board publishes its Serious Case Review [SCR] in a few weeks time, the horrors that this young child endured will probably not be fully recognised. As I have pointed out elsewhere on this blog (here, here, here & here) the facts surrounding Khyra’s untimely death clearly demonstrated that she and her family were known to Social Services and the police and that she had only been withdrawn from school when they began to ask difficult questions of her mother. Two of her siblings still attended school. In his comment above, Balls was being lest than truthful when he continued to spin Khyra’s death as occurring mainly because she was home educated. Balls was not alone in abusing Khyra after her death in this way. I was present when the Children, Schools and Families Select Committee interviewed Ed Balls’ preferred candidate for the post she now holds as the Children’s Commissioner for England. Given that Maggie Atkinson appeared before them immediately before they were to discuss Graham Badman’s report on the topic, it was inevitable that her opinion on home education should be sought. Hansard records her appearance here. My reason for this post is a very simple one. Whilst the fuss over home education has died down for now, I am convinced that it will return at some point in the future. When a new Balls and Badman team arises to wrest responsibility for children from their parents into the hands of the State, no doubt Khyra Ishaq’s name will be “two words” quoted. I write now to put on record one answer every parent should be armed with. That answer is also just two words – Daniel Pelka. According to media reports Daniel not only attended school, but he and his family were known to Social Services, doctors and the police. At school he was known for stealing food, but it has been reported that the staff simply locked it away in cupboards. Once the SCR is published more of the facts should be known. For now no-one from the local authority has been willing to talk to the media, as far as I am aware. His mother and her partner (his father had returned to Poland) were known to be drug users and his “step-father” had convictions in Britain and Poland. However, they were doing what Ed Balls claimed was necessary for safeguarding children from abuse – they continued to send him to school! Daniel Pelka’s death is tragic and his name should no more become a political football than Khyra Ishaq’s has. However, his death does illustrate that schools cannot protect every child from abuse, nor can even the most vigilant social services. Most parents do care far better than any agency can for their own children and the State would be much better employed seeking to support fathers and mothers in caring for their offspring rather than seeking to impose State control on families. This entry was posted on 02/08/2013 at 6:26 pm and is filed under State Safeguarding UK. You can subscribe via RSS 2.0 feed to this post's comments. Responses are currently closed, but you can comment below, or link to this permanent URL from your own site.